Turkey Biot Quills - Fast, Free Shipping. NO SALES TAX. Hareline Turkey Biot Quills are great for biot body flies. 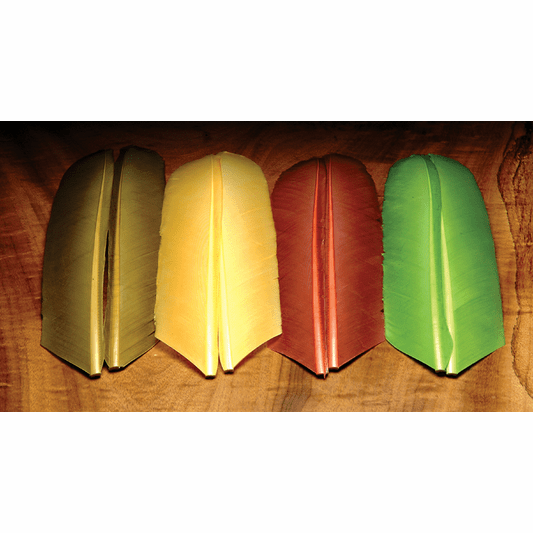 They are excellent for wingcasings and even wings. Purple and Dark Olive added in 2012. 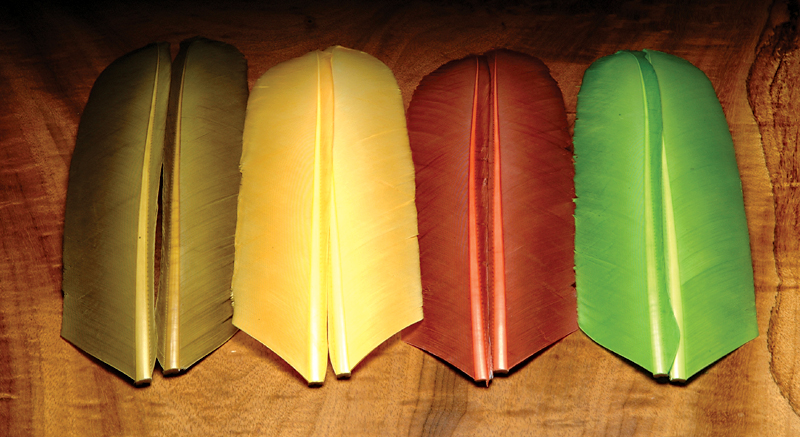 Two Feathers per pack.